As one prepares to step into the max level PvP arena, he or she may wonder which spells should be included in a PvP deck. 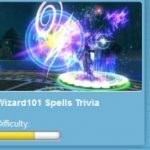 This post will examine three key trained school specific spells and three key non-trained treasure card spells that each school should consider putting into their arsenal as they begin their max level PvP journey. Note that this post will not highlight universally useful PvP spells that should be in every PvPers deck such as conviction and tower shield. Ice’s defining spell since shadow-enhanced spells were released, Weaver allows Ice to do something it never could before: create high damage at the lower pip levels. Coupled with its defensive utility in a 75% tower shield aftereffect, this spell is Ice’s bread and butter, hitting hard and shutting down an opponent’s offense all in one round. One of Ice’s combo spell, Winter Moon allows it’s caster to leverage decent damage or break a shield, possibly opening the way for an unshielded Abominable Weaver. Frostbite has always been a staple of Ice decks and this meta is no different. Allowing Ice wizards to work around shields and deal a surprising amount of damage, this spell also acts as a pressure tool that forces its target to play a guessing game with how and when they shield. With the release of the Five Boxes event, the Ice school gained one of its best utility TC to date in Coldiron. Allowing its caster to leverage decent damage for 4 pips, the real benefit of this spell is the shield it provides as an aftereffect. Shielding from two top tier schools (Fire and partial Balance) while also defending from the occasional storm, this spell can be used as an excellent counter response to both remove an opponent’s shield and bolster one’s own defense. Both of these cards are excellent spells that also allow Ice wizards to do two things in one round. They are mainly used as shield-breakers that also serve to boost the caster’s damage with very little loss in tempo. This card is useful against an opponent with multiple shields when you want to save pips that Frostbite would otherwise consume. In most cases, Frostbite is more useful due to the damage it deals, but Ice Elf finds its niche against mana burn users or to set up unexpected, pip intensive combos. The best of the first generation shadow pip spells added to the game (yes, better than FFA, comment section), Gaze of Fate provides Balance wizards with a lot of utility. It deals heavy damage, and its nature as a double hit with random damage both makes it difficult to shield against in the early game for opponents and benefits the caster because of the game mechanic that allows each of the two hits to performs an independent check for critical block (i.e., the second hit can critical on the opponent even if the first did not). Gaze of Fate also adds a Balance damage bubble, allowing Balance wizards to fight bubble wars and benefits from the fact that each half performs an independent check for critical block. The dropped spell that defined all other drop spells, a spell so good that it forced KI to improve the dpp/effects of almost every other dropped spell in the game. Loremaster is, without a doubt, the best 4 pip spell this meta. It leverages great damage and leaves 2 debuffs. The -35% accuracy debuff it leaves as an aftereffect can be very useful in this meta, especially for off-school spells. It can even be useful for main-school spells since most PvPers in the meta are opting for pip jewels over accuracy. The other aftereffect, the -20% damage debuff, is always useful, forcing a clerical move such as a wand or removing almost as much damage as a weakness. A key spell since its inception, Mana Burn has multiple uses. It acts as a potent combo breaker, asserts pressure and assures that your opponent will be hesitant to build any significant amount of pips. Balance has no access to a trained stun, so a TC easily fills the void. It is useful for forcing combos or buying some time to act defensively. With the ability to deny opponents the luxury of pips, the low pip utility available in Loremaster, and a high health buffer, Balance is one of the few schools able to effectively use Empower offensively. Empower’s utility in removing weaknesses and stacked traps is also an important benefit. One of the ways a high tier school such as Ice can take out Balance is with the use of bladestacks. Normally, Balance does not have access to a way to address this outside of Weakness and Mana Burn. However, with this TC, Balance wizards have a direct way to address one of their few weaknesses (pun unintended, but appreciated by the editor nonetheless). One of the best first generation shadow-enhanced spells, this spell achieves quite a bit in one round. As with all shadow enhanced spells, it deals a heavy amount of damage. Unlike most other shadow enhanced spells, however, it simultaneously acts as a potent combo card, leaving behind 3 traps that can be stacked with other tri-hits. This spell almost always becomes more powerful the later it is used in a match. The best 5 pip attack spell in the game, this is often referred to as Fire’s Loremaster. It is a spell that is literally uncounterable if the opponent is second while also being able to be utilized in a variety of potent combinations. This spell has been putting in work for Fire since its inception and this meta is no different. Offering heavy damage with the best debuffing effect in the game this spell is equally useful offensively, defensively and for starting and ending combos. This innocuous treasure card has become one of the defining features of the Fire school. Breaking a shield while leaving 3 traps, it is perfect for setting up combos. In addition, its cheap cost allows you to scout for shields/dispels from second. With multiple different versions that all stack, this TC is definitely a must have. A defensive/offensive 4 pip TC that does for Fire what Coldiron does for Ice. This spell protects Fire wizards from the other top tier schools while also adding defense against the few Storm wizards present in ranked. While Fire does have a high pip option for a stun combo, you really can’t go wrong with a 0 pip stun; it’s useful in a variety of scenarios. Life’s version of Abominable Weaver, this spell offers Life a powerful offensive weapon at a low pip cost that it simply did not have prior to the addition of this spell. 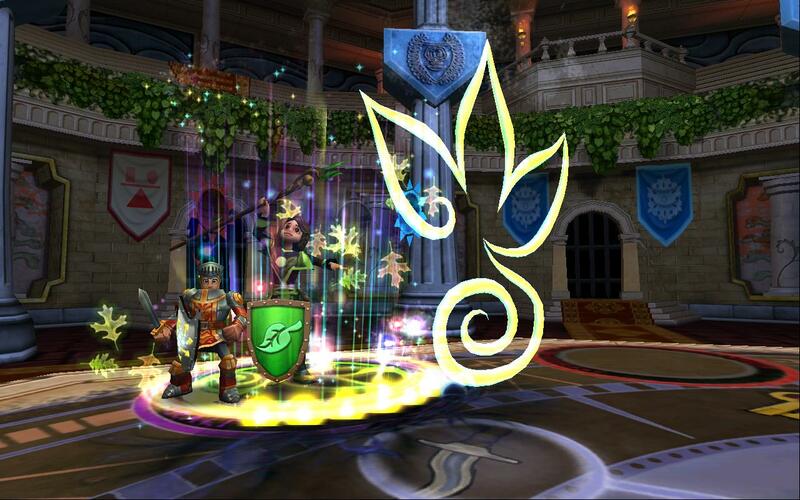 The absorb is useful in the traditional sense, and additionally can also serve to protect shields from wands and low pip attacks. Offering Life its only charm debuff, this spell is one of the best 4 pip spells, fulfilling the role of the coveted low pip offensive/defensive hybrid tool at an enhanced dpp. It is good as a straight attack, a shield clearer, and a defensive tool. A controversial spell at its release, this spell continues to do work for almost all Life setups. Made (in)famous by the Angel strategy, this spell is still useful for more conventional sets. Once cast, Guardian Spirit cannot be removed; the caster is guaranteed a second chance at winning a match that they would have lost. As Life is a school without a trained damage bubble, Brown Spider can be a lifesaver (again with the unintentional puns). It acts as a shield breaker that can also help Life to maintain its bubble and remove an opponent’s bubble. It can also be used offensively to boost Life’s damage prior to a combo, but this is less common. You have seen this card before in other school lists and that is because it is so useful for a variety of schools, including Life. It can be used to help you set up combos, give you a chance to act defensively or buy you a turn while a DoT eats away at your opponents health bar. An underestimated card, this spell actually offers a lot of utility. At 1 pip and 90% accuracy, it removes shields and weaknesses while also leaving a +20% universal trap. This is especially great for the Life school, seeing as Life wizards often encounter only Tower Shield as opposition to their damage. The accuracy makes it more appealing than Storm Beetle. This spell is a godsend to the Myth school, offering it some of the high damage/low pip power it lacks. This attribute is coupled with an aftereffect that has the potential to summon a very helpful supportive minion. The bread and butter spell of the myth school, this spell is the most backloaded DoT in the game to date and is incredibly difficult to defend against. If a Myth wizard can get one or two blades boosting this spell, the attack is almost always match-ending. Offering Myth wizards one of their few low pip spells with utility, this spell can be very helpful under the right circumstances. While not spammable like Fire’s Brimstone Revenant, this spell does leave a trap, which can combo well with King Artorious and certain other spells such as Ninja Pigs and Celestial Calendar. This spell is a really great spell that should be in every Myth wizard’s deck. At the same cost of the “regular” Myth bubble Time of Legend, this spell breaks shields in addition to establishing a bubble, making it a great offensive and responsive spell. 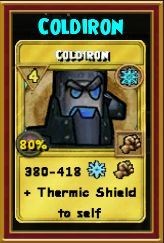 Myth’s Coldiron, this spell serves the same purpose as its Ice counterpart. It provides defense against 2 top tiers … and Storm. The defense against Storm is particularly useful since Myth is also a low tier school and will spend quite some time at the lower ranks where Storm wizards tend to hang out. Once again this spell is another great option that for 1 pip leaves a buff. Much like Life, Myth encounters fewer shields since most of its functional hits preempt said shields. As such, Midnight Sprite acts as an excellent counter to Tower Shields and can also combo with King Artorious. Rusalka’s Wrath is one of the best damage spikes given to a school with great damage spikes. A potent finisher that does 3500+ damage at base with competitive gear, no Storm wizard should leave home without it. A spell that is sadly seen only as a spam tool by most Storm wizards, Wild Bolt actually has quite a bit more utility than that. Wild Bolt is Storm’s best option for breaking a shield. It is also a good option to throw at an open opponent without losing too much tempo as a sudden damage spike can decide a match. Where most Storms fail with Wild Bolt is trying to use it as a consistent hit (aka spam) when the very nature of the spell is inconsistency. Although it is Storm’s only reliable combo move, Storm Lord is nonetheless effective for closing matches against opponents without Stun Block or Conviction. If you can land an open Storm Lord to Rusalka combo, it is usually GG against most schools after a 2 pip hit. Words cannot describe how much I love this spell. At 5 pips it deals about 1200+ damage to an unshielded opponent while also leaving three universal +30% traps on the opponent. Those traps will remain on the opponent and boost the next 3 hits (duh), which is extremely useful if your opponent shields and also very useful for executing combos. Storm’s one and only DoT that doesn’t consume its entire resource rack; this spell, although it is rare, is a godsend. It allows the removal of multiple stacked shields or an option for keeping the opponent clear of shields for several rounds. A useful clerical card that also serves to buff the next damage spell, this spell acts as Storm’s version of Icebird but with a universal blade which is both a blessing and a curse: it is a blessing because it can be combined with Insane Bolt, but a curse because it can be triggered by anything, including a wand. The stronger of Death’s shadow-enhanced spells, Winged Sorrow also comes with a nifty AoE weakness that can be used to reduce the damage of an incoming offensive strike or delay an opponent’s attack. Death’s best low pip spell in terms of dpp, Poison offers damage in the form of a DoT, which is harder to counter than a single-hit spell at the cost of being slower to deal its damage. Death’s bread and butter, this powerful DoT should not be underestimated. It is hard to shield against and quite powerful with a few blades. This spell does suffer from second against certain schools. Once again, this spell is useful in a number of situations, particularly since Death has no natural stun spells. This spell is great to include in a combo to remove universal debuffs and stun an opponent while leaving Deathblades intact. A great spell for a blade dependent school, it also serves to leave a debuff as well. Now go try these spells out in the arena!